I have some lovely memories of Christmas from when I was growing up. One of my favourite memories is doing jigsaws, both by myself and with my family. I know that we did jigsaws throughout the year, but perhaps it's something about the long dark evenings and the family being gathered together that makes having a family jigsaw out at Christmas part of the festive experience. 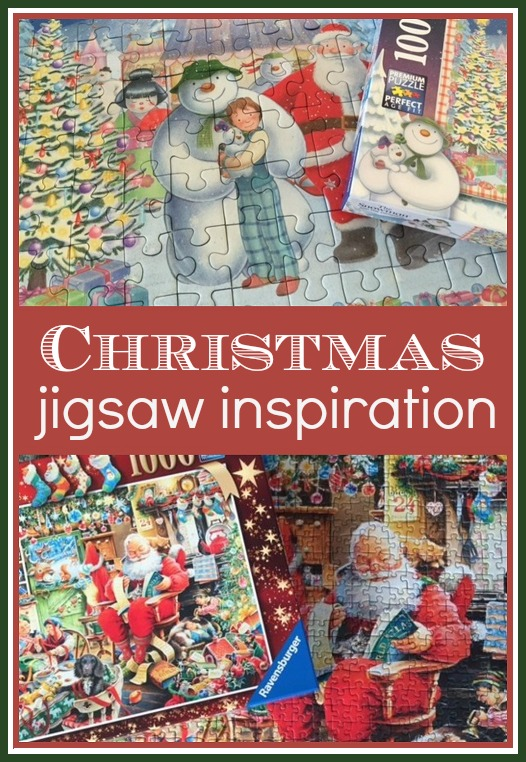 But although we certainly had favourite jigsaws that came out time and time again, I don't remember us having any actual Christmas themed jigsaws to work on, so I thought I'd have a hunt around and put together a wishlist of Christmas jigsaws for both children and adults. Amazon links are affiliate. For the very little ones, I love this set of My First Puzzles - Christmas Friends . There's a 2, 3, 4 and 5 piece jigsaw included, and the bright, colourful illustrations will appeal to the youngest toddlers. For pre-schoolers how about this Christmas puzzle - The Elf Factory . It has 35 large pieces and is currently on sale for a great price, perfect for Christmas Eve and imagining what the elves might be up to. Last year we reviewed this lovely The Snowman and the Snowdog jigsaw puzzle. 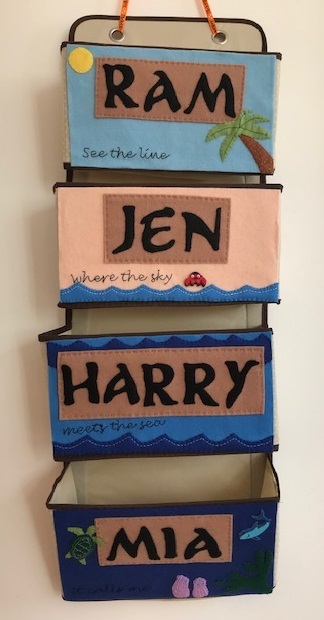 It's almost inevitable that if you have children you'll be watching both this film and the original Snowman film over the Christmas period, and this jigsaw is a fun way to remember what a lovely couple of films they are. You can read my review here - The Snowman and the Snowdog Jigsaw Puzzle review - and although it's a little difficult for younger children to complete by themselves, it's a nice size to work on as a family with enough of a challenge to interest the grown ups too! If your children are more into Disney then this puzzle has a similar difficulty - Disney Christmas Eve - again, a great one for children and adults to work on together and have fun spotting all the Disney characters. When it comes to puzzles for adults it's fun to have a nice large one that you don't normally have the time to complete, especially if you have a few extra adults in the house to help. How about this 2000 piece Christmas Eve jigsaw puzzle - a fun cartoon design with plenty of details to look out for! Last year I reviewed this lovely puzzle Santa's Final Preparations , depicting Santa and Mrs Claus in their busy cottage as they carry out their final tasks before Christmas. It's a bright and cheerful design and I had a lot of fun completing it - you can read my review here Santa's Final Preparations jigsaw review. I also own these lovely jigsaws from Gibsons - Christmas Eve Jigsaw Puzzles . The box contains two jigsaws, each with 500 pieces with a picture of a lovely festive town, and the two completed puzzles can be put next to each other to create a panoramic scene. Finally, if you are looking for something a bit different, how about a Wasgij puzzle like this - Wasgij Christmas Jigsaw Puzzle . There are two jigsaws in the box, one is the scene on the box cover and the second is the solution to the puzzle - what the shoppers in the busy department store can see. Each puzzle has 1000 pieces so there's plenty to keep you busy, and it's also a fun challenge as you only have the picture to refer to for one of the jigsaws! I hope I've inspired you for some Christmas jigsaw fun!